3002 leads the 9O43 16:07 Paris Gare du Nord to Waterloo service past Westenhanger on 16 July 1999. Plenty has changed here since this picture was taken. 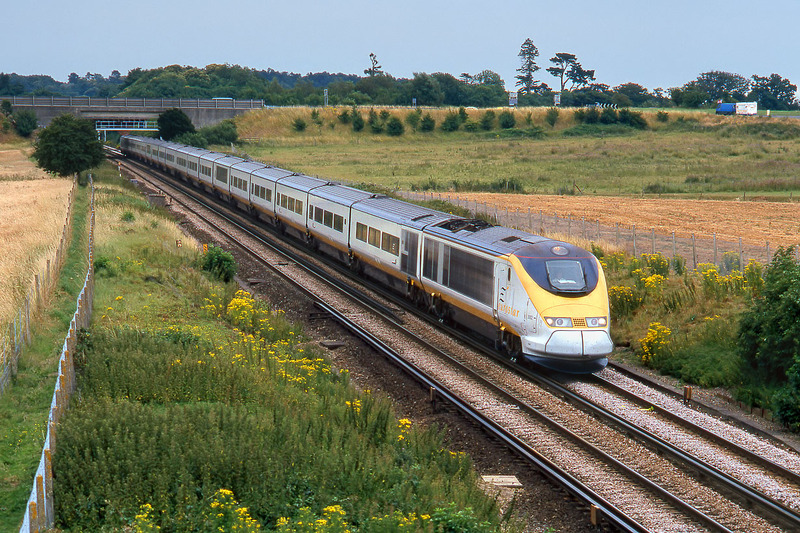 Eurostars now travel on a dedicated overhead electrified high speed line, running along the line of the fence on the left. What remained of the field on the left has subsequently been swallowed up by a service station on the nearby M20. Even the farm bridge which I am standing on to take this picture has been demolished!